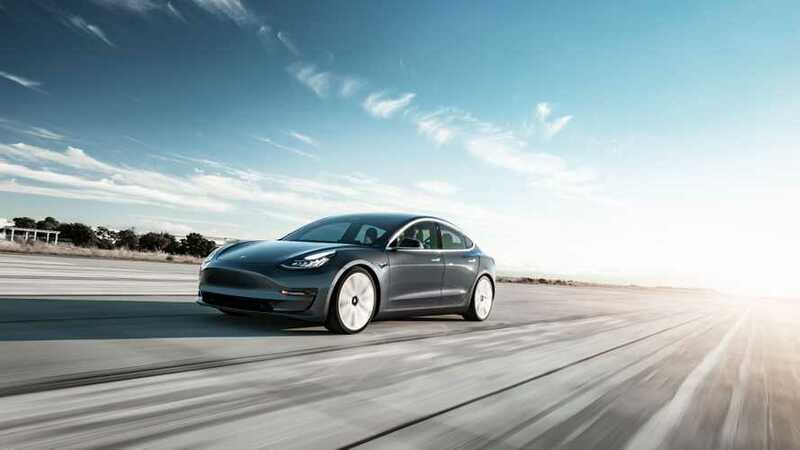 The Tesla Model 3 continues to outshine luxury sedan and plug-in competitors in the United States. December was another record month for Tesla. 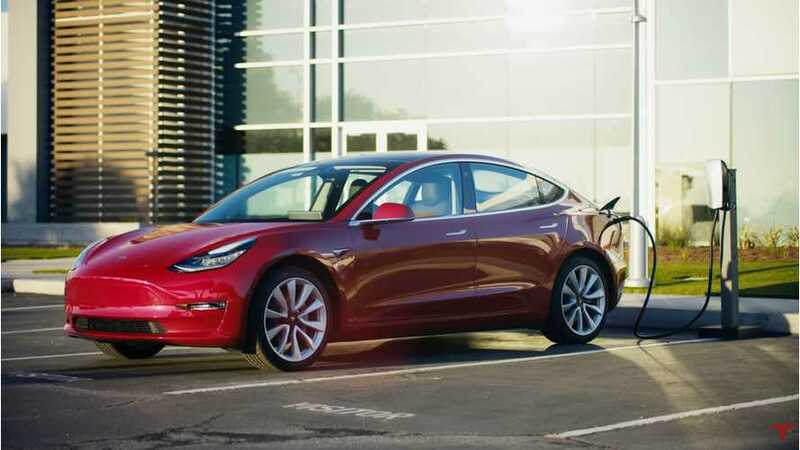 Tesla Model 3 Sales Charge Way Past Milestone Of 100,000 In U.S.
Tesla Model 3 U.S. sales up slightly in November as YTD figure blows past 100,000, a milestone never before achieved in a single year by an electric car. 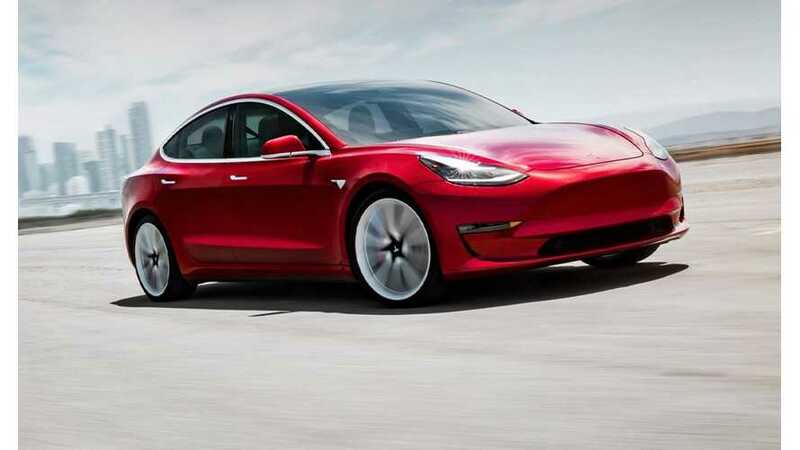 We estimate a sharp downturn in Tesla Model 3 sales in October, but that's expected since it's the first month of the new quarter. The Tesla Model 3 has lead the company to amazing growth over 2017 deliveries. 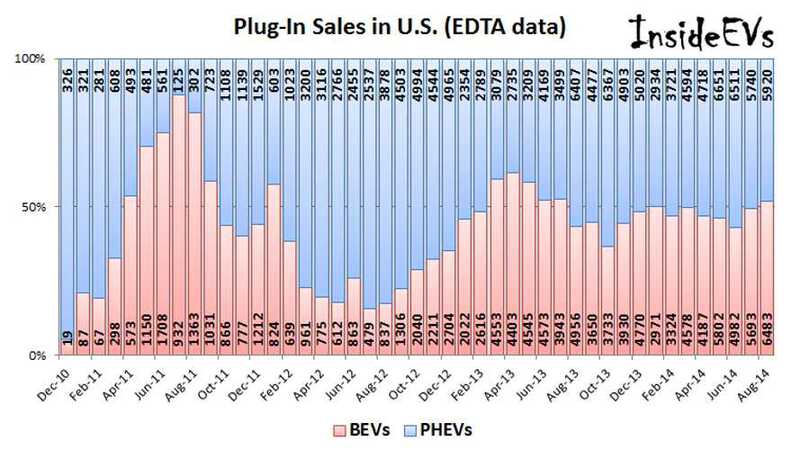 But U.S. plug-in sales continue to grow as well - with and without Tesla. GoodCarBadCar has compiled its monthly sales ranking. As expected, the Model 3 earns a 4th place position. The Honda Accord and Honda Civic are now within spitting distance. The Tesla Model 3 has left all plug-in competition behind. 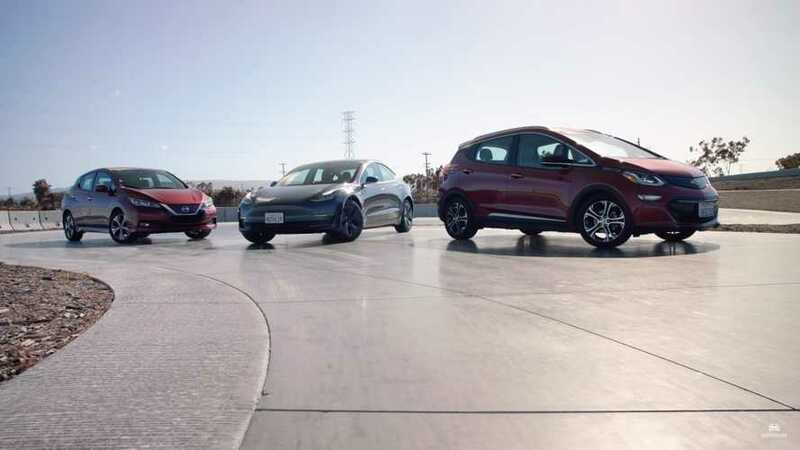 This month, the best selling electric car has exceeded the Corolla Family of vehicles. Is no sedan safe? 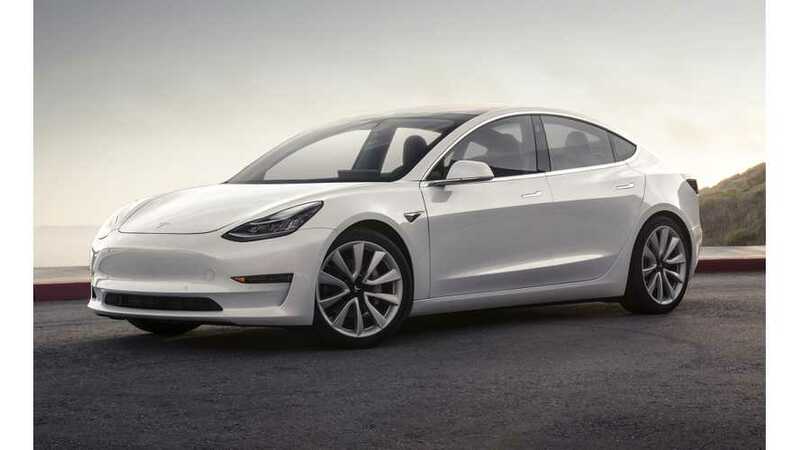 We knew it was coming, but how high did sales fly for the Tesla Model 3? 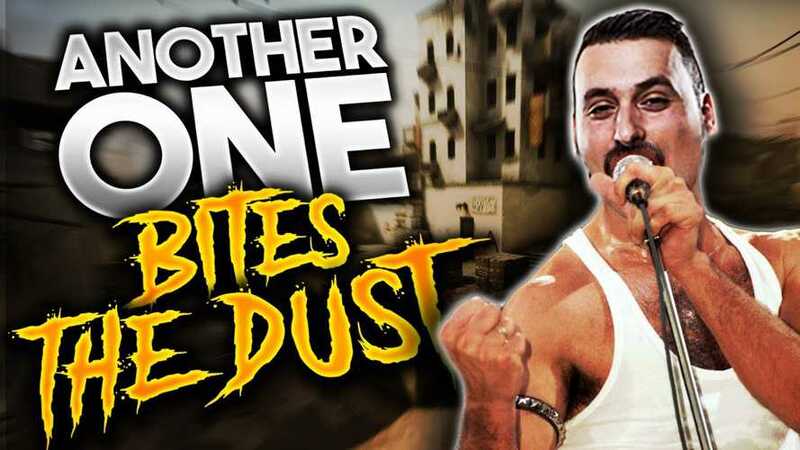 Let's just say the 20,000-unit milestone was blown to bits. Model S & X rocked the charts too. The Tesla Model 3 continues to ascend the charts. This places Model 3 sales in between the Hyundai Elantra and the Toyota Carolla Family. Looks like the naysayers will have to move the goalposts again. 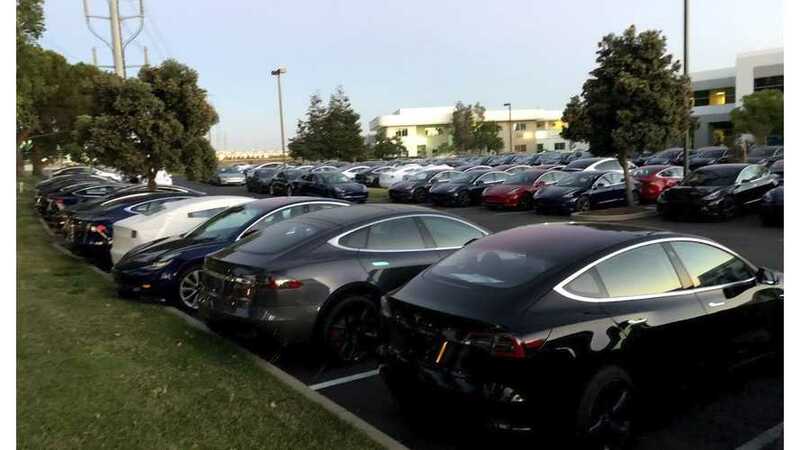 It turns out the little company that could just did by selling an epic amount of Tesla Model 3s. If you thought June's numbers were impressive, then July will blow your mind. 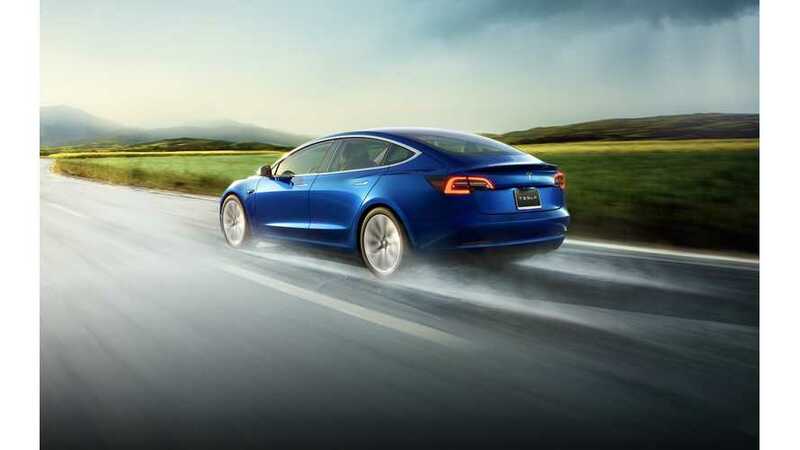 The Tesla Model 3 stands alone atop the sales chart. No competition in sight. 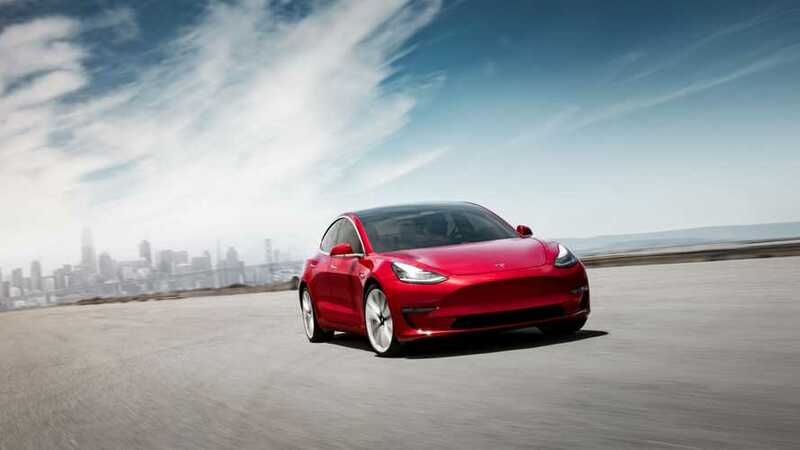 The Model 3 is about to leave EV and luxury competitors behind. The car looks likely to place in the top 10 of all sedans during the second half of 2018. 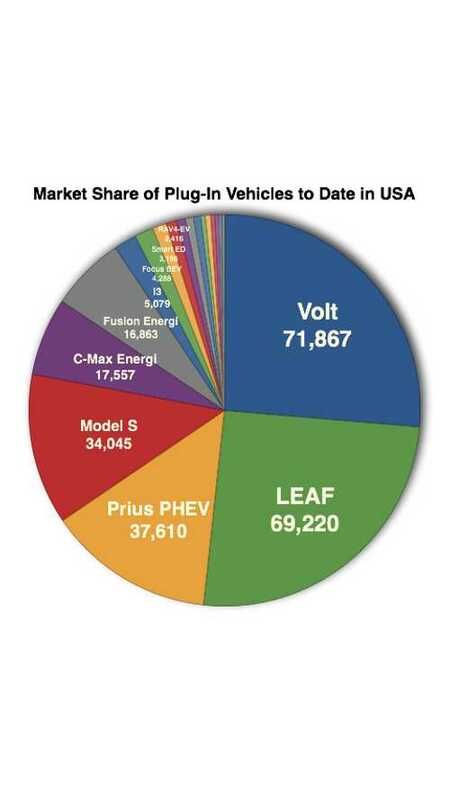 In this post you’ll see cumulative model-by-model U.S. sales to date (through end of December using sales figures obtained via InsideEVs) and market share for individual plug-in electric models (again, using InsideEVs sales data). 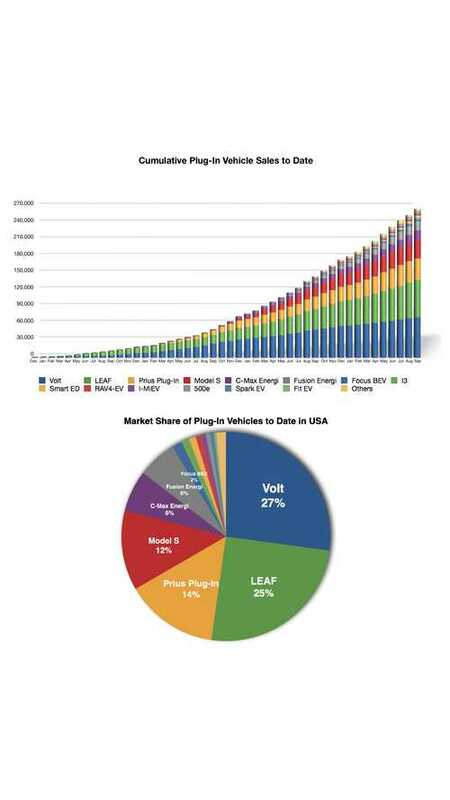 Here's a graphical look at cumulative US plug-in electric vehicle sales through the end of October 2014, along with a model-by-model breakdown with market share data. 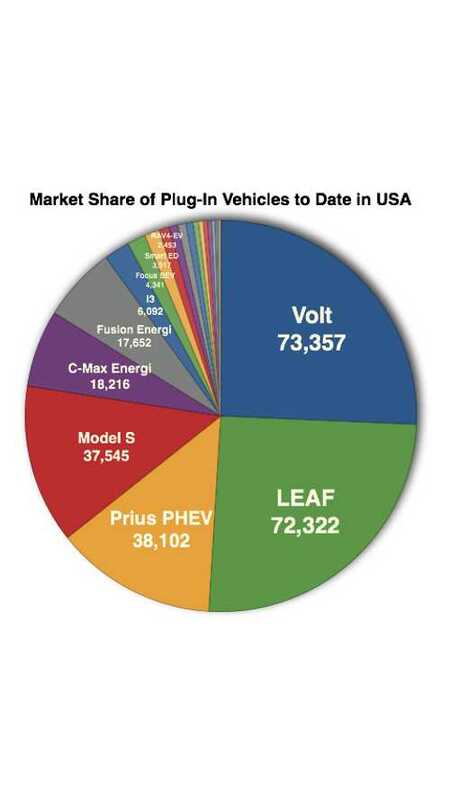 Here's a look at the market share of individual plug-in electric vehicles in their respective categories (BEV and PHEV). 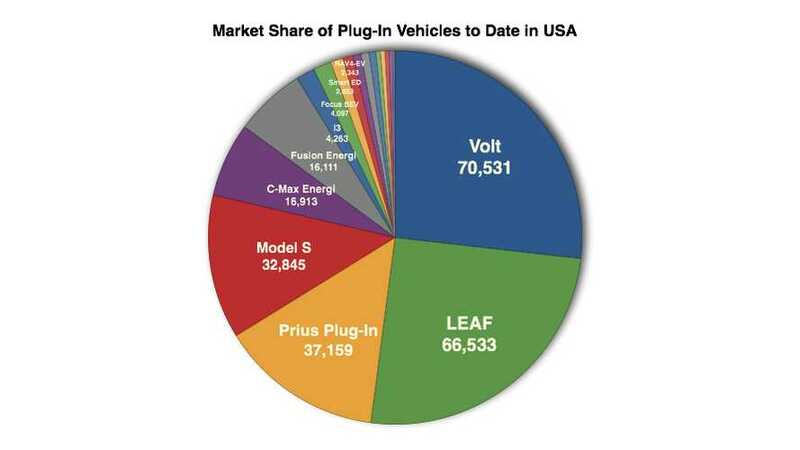 Here you’ll see cumulative model-by-model U.S. sales to date (through end of September using sales figures obtained via InsideEVs) and market share for individual plug-in electric models (again, using InsideEVs sales data). Here we prepared graphs illustrating sales broken down by type - plug-in hybrids (PHEVs and EREVs to be accurate) and all-electric cars (or maybe we should say those with or without ICE on-board). 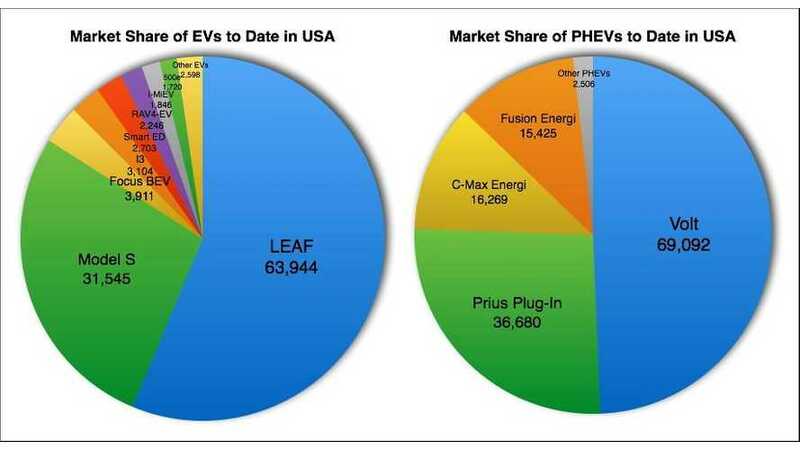 Both types are growing, but as it turns out sales of EVs and PHEVs stabilized around a 50/50 split this year.